Drugmo is 22 years old and lives with her grandmother. 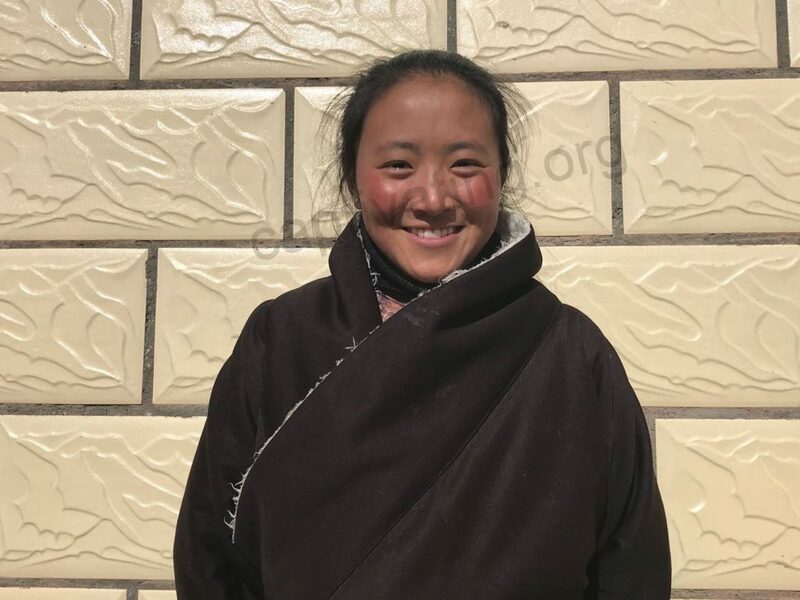 She comes from a nomadic rural area and attended the Healthy Village Project in December 2018. She was one of over 10 girls who the Shamtse team [Captivating’s in-country partner] have personally met because of the Healthy Village Project. These girls have dropped school because of poverty. Her mother passed away when she was only 6 years old, and they don’t know who her father is as she was born to her mother outside of marriage. All she has known, is life with her grandmother. Because of the Healthy Village Project, our team is able to meet girls like Drugmo. These girls want to secure themselves a future that will open doors which would otherwise be impossible. Further interviews will be conducted over the next few months with the hope that Drugmo and many other girls who had to drop school, will be able to enter our Vocational School Scholarshipprogram when the new school year starts in August 2019. Mr Tredan [wearing the cowboy hat in the photo below] is the main supervisor for our current greenhouse construction program. He is a shy man but strongly believes in this program as an excellent way to significantly improve the livelihood of impoverished single moms in Qinghai, China. He was our key in the success of our 2017 Greenhouse Project and we have been grateful he was willing and happy to help out again during the 2018 project - a program that has brought hope to 131 families this past year. It was dusty work but the results were exciting as each Greenhouse started to take shape.